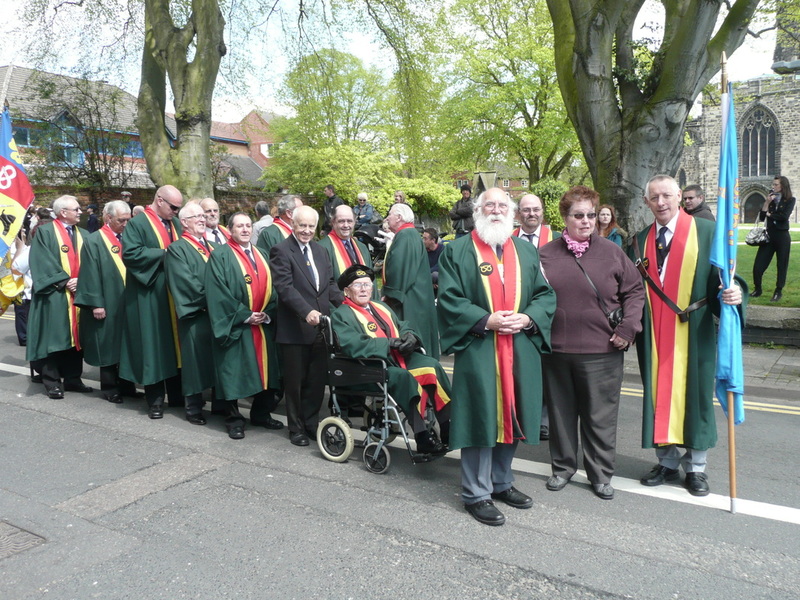 Burgesses on a Mayor's Parade, with their President and founder, Mr Alf Eley and robe maker Mrs Carol Mitchell. 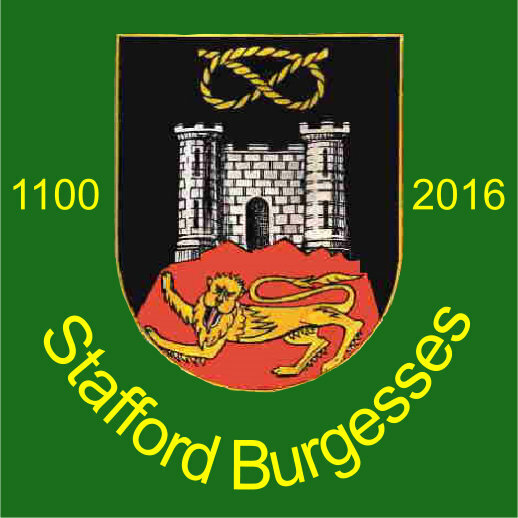 Stafford Burgesses are probably Staffordshire's oldest secular body. In times past the burgesses were responsible for the administration of the towns and Stafford's first charter was granted to the burgesses. Nowadays they have lost most of their power and rights, but still own land at Coton Fields. 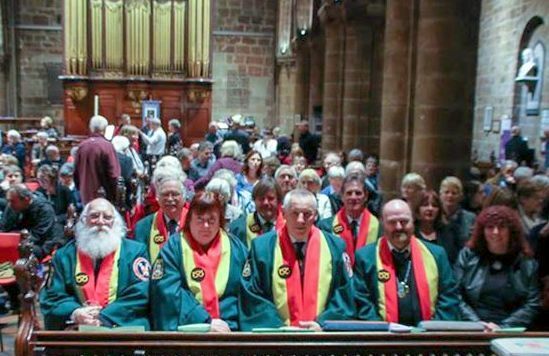 In Stafford burgesses are sworn in by the mayor if they qualify by heredity or servitude. Potential candidates for admission should contact the mayor's office. 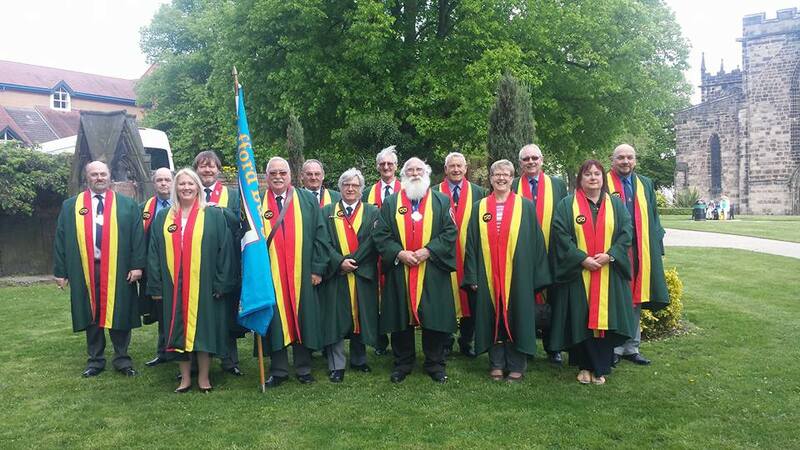 Stafford Guild are members of the Freemen of England and Wales who represent such groups throughout the country. Qualifications vary dependent on ancient local rules. The Burgesses have two main groups, the Trustees, who manage their assets and the Guild, which is a social and communications forum. There is a Civic programme and visits, meals, games nights and talks with historical themes are included in the social activities.